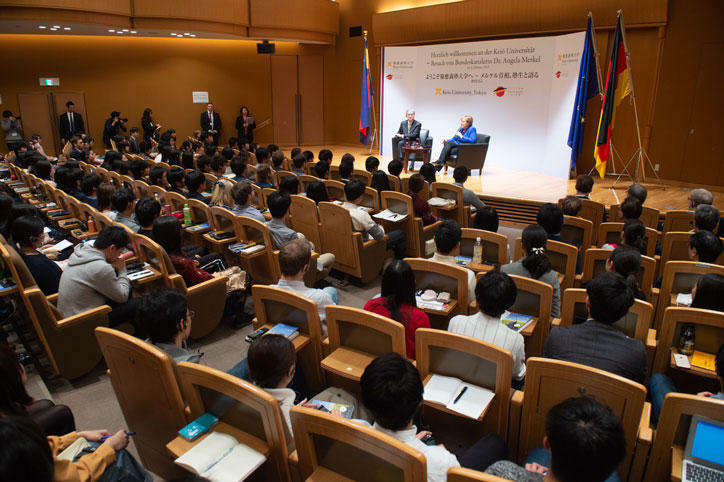 On Tuesday, February 5, German Chancellor Angela Merkel visited Keio University’s Mita Campus to engage in a dialogue with Keio students. 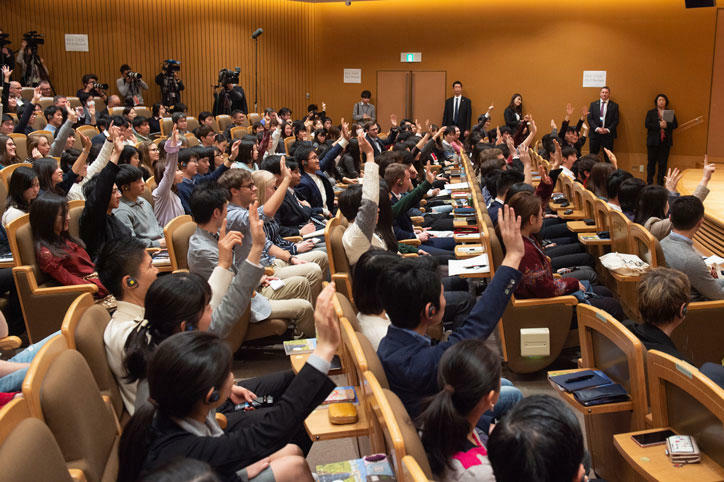 Chancellor Merkel’s arrival onstage at the North Hall was greeted by enthusiastic applause from a full house consisting mainly of students. 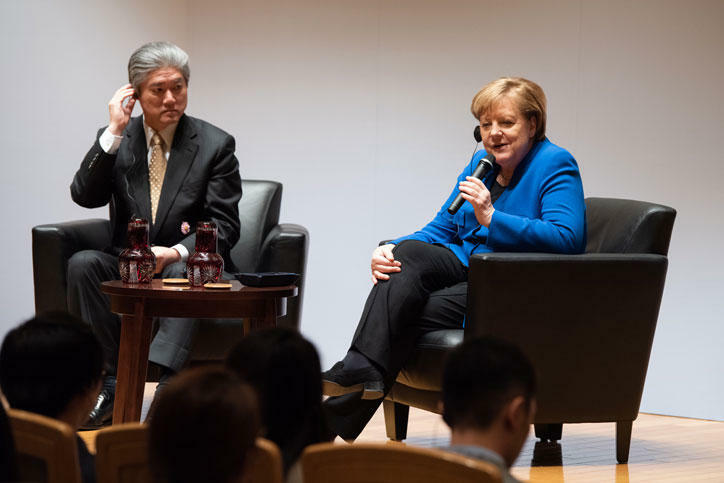 Following President Haseyama’s introduction, Chancellor Merkel expressed her delight at the opportunity to speak to Keio students, inviting them to query her about any issue they might have in mind. 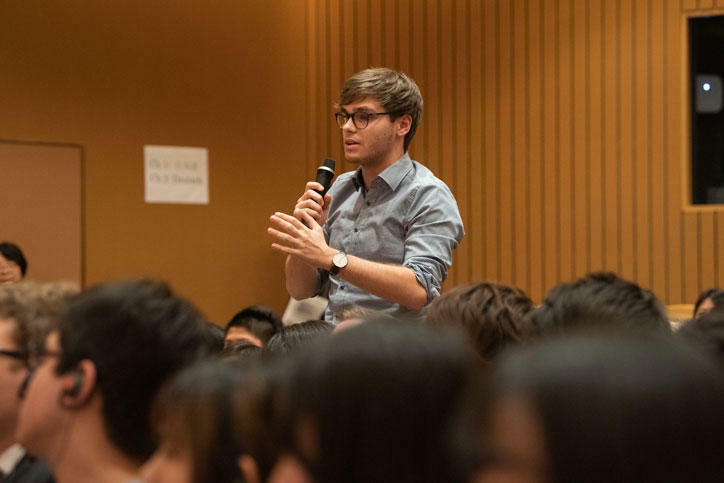 Students posed pointed questions on an array of topics, from mutual challenges of Japan and Germany and educational policy, through to dilemmas relating to technology including AI, personal data, and global security issues, resulting in lively and engaging interactions between the Chancellor and the enthusiastic attendees. The German Chancellor offered the examples of systems for parental care leave, renewable energy sources, and inclusive education as areas in which Germany might be in a unique position to offer input to Japan. She noted the importance of coordinated responses to cross-border and global challenges among countries and the need to avoid complacency. She illustrated this by discussing technological developments including AI, and the need to ensure that these are deployed in such a way that they serve the best interests of people and society. 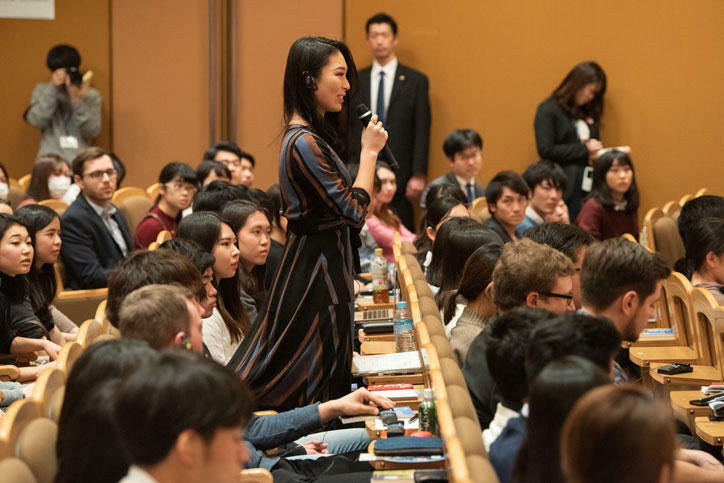 Another area identified as an ongoing challenge for Japan was improved female participation in the workforce. 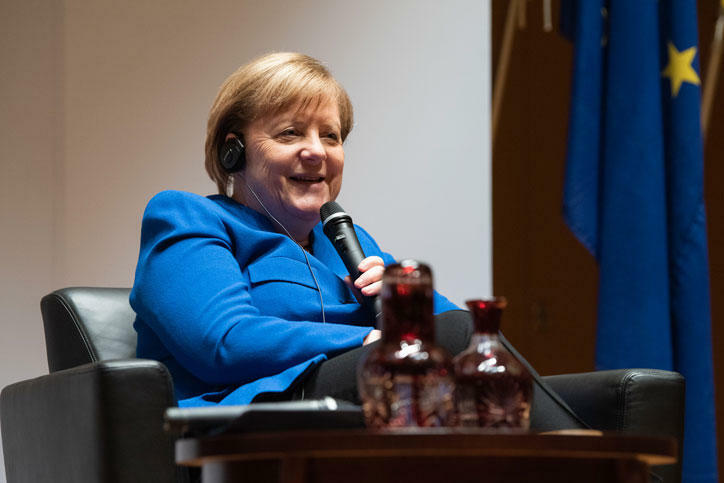 While noting the great progress which has been achieved worldwide over the past several decades, Chancellor Merkel said that the means to these improvements would include not only flexible employment and social systems to allow women to have careers and raise families but also encouraging changes in female consciousness, specifically the confidence to seize on any chances which present themselves. Chancellor Merkel concluded by expressing her enjoyment of the occasion and her regret that time would not allow for more questions.